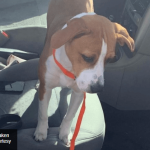 There are a lot of high drive dogs in shelters – it’s one of the reasons dogs are surrendered, they just had “too much energy” for the family. And these dogs can be hard to adopt out, since busy families do not always want a dog that needs a “job” or to run miles a day. But Mark Lukas wants those dogs. In fact, those are the only dogs he wants! 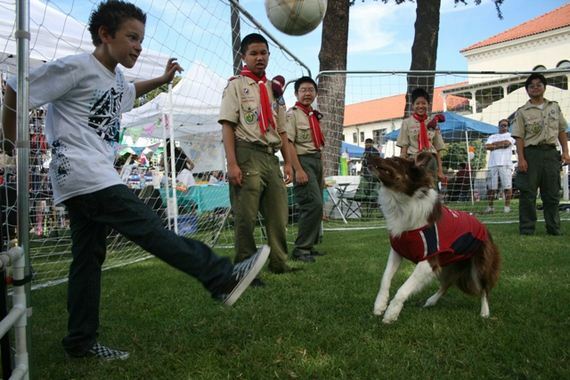 Lukas is the founder and owner of Soccer Collies and Soccer Dogs, groups that identify high-drive, toy motivated shelter dogs, rescues them and places them in soccer homes where the dog will actually play soccer. Here’s a 38 second video of a group of first grade boys playing as a team of goal keepers against BEK (the last remaining original Soccer Collie) for a two minute game. BEK played the boys and then played the girls…low score wins. BEK always scores allot of goals. Everyone always laughs and smiles. ML: The soccer dog concept has evolved over the past ten years from a one on one game to a group game and the adoption program is now being developed because there are a lot of high-drive dogs in shelters who could become soccer dogs and there’s a huge demand for them and no supply. How does the dog soccer game work? 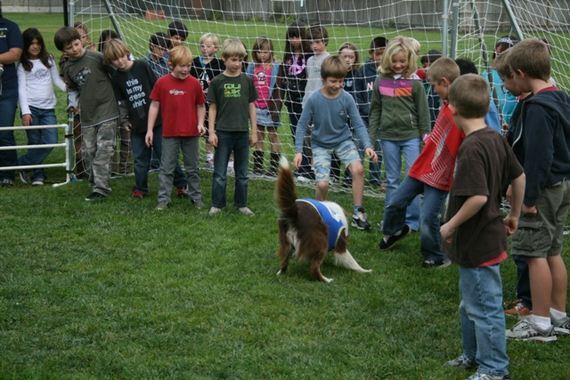 ML: In our “Humans vs. Canines Soccer Game” the dog does all of the running. The humans play as a team of goal keepers as they form a circle. The dog brings the ball from one person to another and when the dog pushes the ball out of the circle the dog has scored a goal. What is the job of the soccer dog foster family? 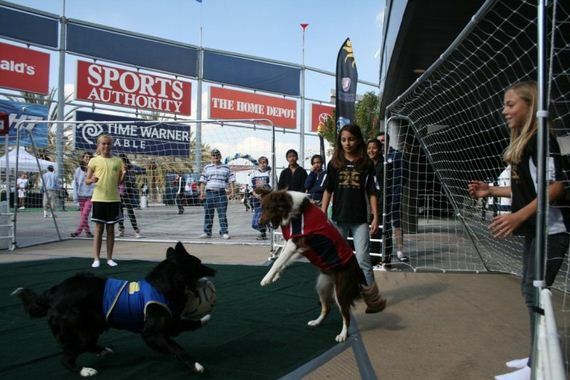 ML: People are being paid to locate them at shelters by bouncing a soccer ball in front of each kennel. Some dogs will cower and be afraid of the ball. Those that show interest in the large ball are potential soccer dogs. There are many just like him and the objective of the program is to reward those who identify these potential soccer dogs in the shelter and we will search the soccer world to find them a new home in a soccer loving family. Here’s a video of our first soccer dog available for adoption. He came out of the shelter with the skills you see. The foster families locate them and post a video displaying the dogs skills. 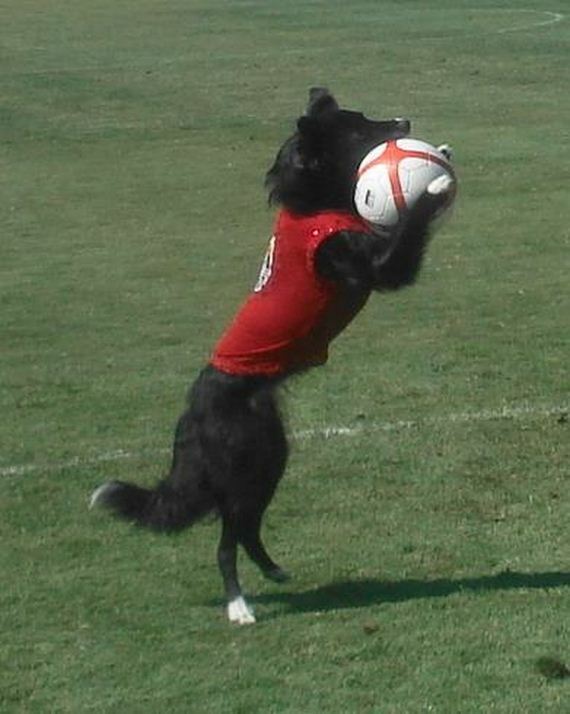 The adopting family is responsible for transporting the dog to it’s new home and they’re also responsible for training their new soccer playing dog. 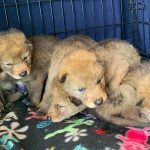 The foster families are paid well, they must collaborate with their local rescue organization and deal with any and all medical issues. You mention pay. 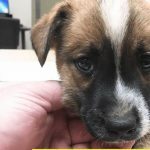 What is the payment for fostering a dog? ML: The foster families receive 60 percent of the fee and the shelter receives 10 percent of the adoption fee. The [Heart of Florida Youth Ranch] HOFYR receives 10 percent of the fee for managing the program which means they will act as an escrow company and hold the funds until all parties are satisfied. Any soccer clubs on the foster or adoption end will each receive 10 percent of the adoption fee. 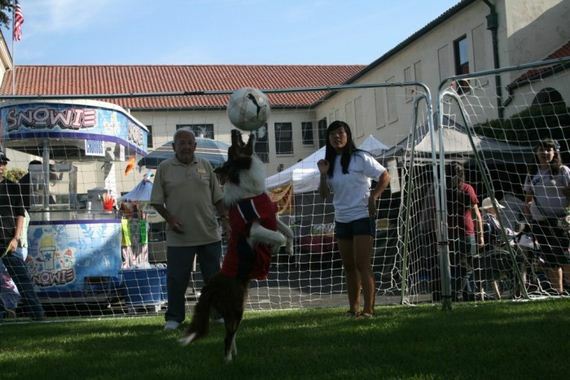 Mark Lukas, who lives and works at the HOYFR, has recently decided to pair soccer dogs with the youth ranch – HOYFR is a 501c3 non-profit organization and will receive 10 percent of the adoption fees. 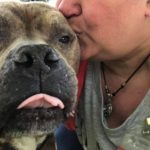 He is working on developing the relationship further, with having kids who are interest help with the Soccer Dogs Program and even become fosters when they get older. In addition, he is hoping to connect with Carrie Serwetnyk, Founder of Equal Play and the first woman inducted into the Canadian Soccer Hall of Fame and help promote her message of “Equal Play” as well as the Soccer Dog mission. 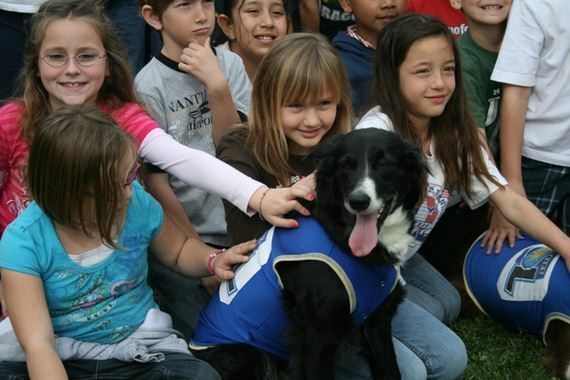 A long term goal is to travel the world promoting the soccer dog movement and the soccer dog adoption program. 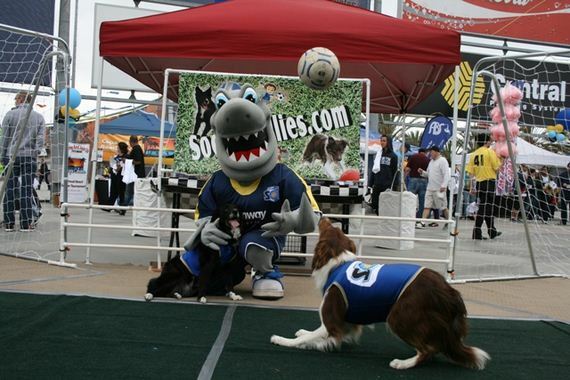 Soccer dogs that were discovered by Lukas and his team have worked for or with Google, Purina, AEG WORLWIDE, MLS, WPS, L.A.Sol, L.A.Galaxy, Chivas USA, The Home Depot Center, U.S.Open, Nokia Plaza, Staples Center, L.A. County Fair, San Diego Fair, San Diego Sockers, SoccerNation.com, SoccerNation Expo, American Cancer Society, Humane Society, SPCA, Chick-Fil-A, Radio Disney, 100 Mile Club, Shriners, Simpleacts.org, Peppermint Ridge, celebrities, schools, churches, festivals, carnivals, private parties, corporate parties, High School, College, Professional Soccer Half Time Shows and more. You can go on to their website for more information about adopting or fostering. Also, you must be an active soccer home, meaning you or your kids play soccer. Most of the families belong to soccer clubs. 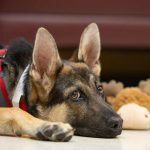 Based in Wilsonville, Ore., animal lover Kristina N. Lotz is a Certified Professional Dog Trainer – Knowledge Assessed (CPDT-KA) and a member of the Dog Writers Association of America. She is the founder of A Fairytail House. In her spare time, she trains and competes in a variety of performance events with her Shetland Sheepdogs and caters to her two rescue kitties. She smartly married a Veterinary Technician, who helps keep the fur kids happy and healthy, and provides a quick resource for articles.